Operation Outbreak was the codename given to an operation that the the British Pacific Fleet participated in during it’s voyage to join up with the US Pacific Fleet. It consisted of naval bombardments of Sumatra as part of a wider strategy to engage the Japanese on more fronts. Operation Outbreak is rarely mentioned in naval histories of the Second World War. An alternative offered in some journals is that Operation Outbreak is the name of the ‘outbreak’ of the British Eastern Fleet and the forming of the British Pacific Fleet, of which the Sumatran attack is a minor element. British Strategy during the Second World War had been one of Europe First. While the Royal Navy at the start of the war was the largest in the world, it was not capable of sustaining operations in multiple theatres at any one time. Therefore the decision was made to emphasise the Home Fleet whenever possible, with other theatres receiving additional support at times of strategic and logistical importance. In practical terms this overarching strategy meant that the Royal Navy was engaged in protecting convoys and in a state of readiness for any German invasion in the early phase of the war. Resources were moved to the Mediterranean theatre once it was apparent that Hitler was committed to his Russian campaigns. Once the invasion of Sicily was successful, the emphasis was once more on Home waters in preparation for D Day and the Allied invasion of Europe. All of the above is well known. It came at a cost for parts of the Empire though, with some theatres of war having limited supplies due to the fleet being concentrated on one specific objective at a time. The campaign in Burma was the largest example of this. Facing the highly effective Japanese army, this force was often reliant only upon land based resupply. The consequences were hard on the men serving there. The Royal Navy did retain a fleet that, theoretically at least, could resupply Burma. 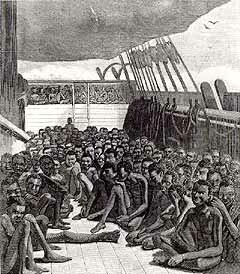 The Eastern Fleet had stations on the African Coast. Ports on the Indian Ocean and in South Africa near the Cape provided shelter for convoys, had acted as repair centres for the Atlantic Fleet and had been bases for supplies and troops moving around the empire or from theatre to theatre. The Eastern Fleet stationed in Africa was far from the cream of the Royal Navy though. After the outbreak of war and the initial struggles in the Atlantic the Royal Navy concentrated it’s fastest, newest and most powerful ships there. The more susceptible, older ships were sent to the Eastern Fleet. These were ships that at their launch had been state of the art, now they were dated. The limitations became clear as Japan entered the war. The Japanese advance saw the war at sea extend into the Indian Ocean and superiority there was won by the Japanese. The Eastern Fleet became limited in what it could be expected to achieve. With Japan dominating the Indian Ocean and the bulk of the Royal Navy required for operations in Europe or the Mediterranean, the Eastern Fleet worked in a limited capacity. That was until the beachheads in Normandy were firmly established. Once Operation Overlord was deemed to be a success, the need for Capital Ships and Ships of the Line in home waters was lower. Consequently, parts of the fleet could now be reallocated. This led to the Eastern Fleet having additional capacity. The strategic planning was for the Royal Navy to now join up with the US Pacific Fleet. This would extend the front against the Japanese, hinder their supply lines and relieve forces on mainland Asia. This operation was called Operation Outbreak. Baxter, Christopher. “Britain and the Sea, 1943–1945.” The Sea in History – The Modern World, edited by N.A.M Rodger and Christian Buchet, NED – New edition ed., Boydell and Brewer, Woodbridge, Suffolk, UK; Rochester, NY, USA, 2017, pp. 489–499. JSTOR, www.jstor.org/stable/10.7722/j.ctt1kgqw0g.54. The raising of this fleet was agreed in September 1944 at the Quebec Conference. The new Fleet became the British Pacific Fleet. It was to sail across the Indian Ocean to australia and from there join up with the US Pacific Fleet. Activities then would involve attacking Japanese supply lines, participating in joint operations with the US Fleet against Japanese occupied islands and relieve forces on mainland Asia where possible. As alluded to in the introductory paragraph the references to ‘Operation Outbreak’ in academic sources are conflicting. Some refer directly and only to the British Pacific Fleet’s engagement at Sumatra. Others refer to it it in a broader sense suggesting that the operation was the wider context of which Sumatra was one part. For example one reference is, “attacked Sumatra as part of Operation Outbreak whilst on passage to Australia” whilst another refers to the “formation of a British Pacific Fleet formed from a planned outbreak from her stations in East Africa”.